How bad is salt for cars? With winter in full-force across much of the nation, salt crews have been on the go prepping roadways before, after, and during inclement winter weather. Although road salt is essential for safe winter driving, it can also lead to numerous car troubles. While road salt is key to safe winter driving in Canada, it is also extremely corrosive, and over time it can cause damage to vehicles. 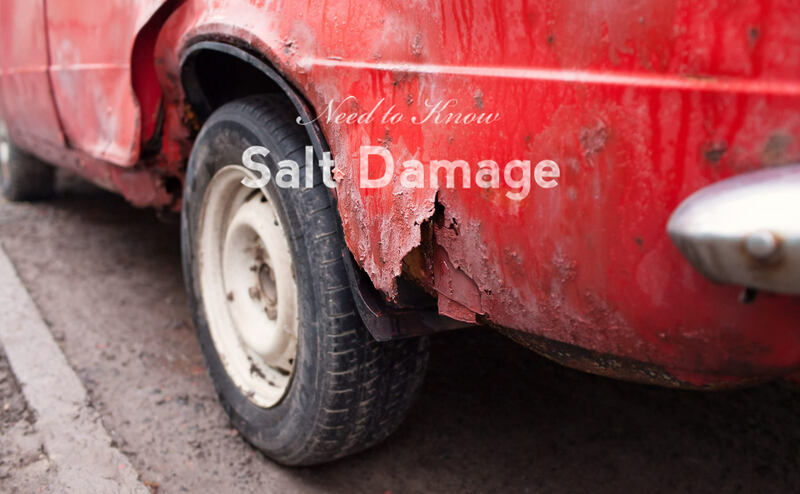 The biggest threat salt poses to a vehicle is rust, which is accelerated by repeated exposure to salt. Rust on certain parts of a car can create a slew of problems ranging from hydraulic brake system leaks to subframe damage. Due to the construction of a vehicle with most of the underbody being wide open, most salt damage occurs underneath the car and as a result can be difficult to detect visually. After driving on salt treated roads, many drivers then pull their vehicles into a garage, which allows the ice, snow and salt from the roadways to sit underneath the car and rot away at the car’s under components. This rotting or corrosion can harm the car’s exhaust and muffler systems, coil springs, and the frame of the car. Damage to the subframe of a vehicle is common in Canada’s snowy climate. The necessity of road salt makes it hard to avoid these issues but visiting a car wash frequently during the winter months can help car owners battle salt’s detrimental effects. Try to go through a car wash that has an under-spray, or use a wand wash so you can get down to the ground and spray the undercarriage of the vehicle yourself. Vehicles can also be taken to a collision shop prior to the winter season to have their vehicles pre-treated with an oil solution under-spray to help fight winter road salt damage. As driving on road salt is fairly common during the winter months, drivers should be aware of potential damage and never drive a vehicle with a red brake warning light on. This light indicates a low fluid condition and can lead to severe consequences if driven without immediate consultation. If drivers experience any other maintenance issues involving the brake system during the winter months, immediate attention should be sought after. While all damage is not necessarily visible, the best way to ensure that a vehicle is and will continue to function properly is to have it checked by a professional before the winter season or whenever it is also due for an oil change. Give us a call to make an appointment before winter hits, we would love to see you before the holidays. Can My Car Tow a Boat?